“We have always been open to trying new things and taking risks,” Siena College principal Gaynor Robson-Garth said. This year, the library at the girls-only Catholic college in Camberwell was replaced with a “learning centre” where students can discuss ideas and learn technology, such as 3D printers and robotics. Librarians have been replaced with “change adopters” who host discussions with students and teach “soft skills” such as ethical and creative thinking. “It’s an experiment, we’re trialling it,” says Ms Robson-Garth, who will retire at the end of this year. 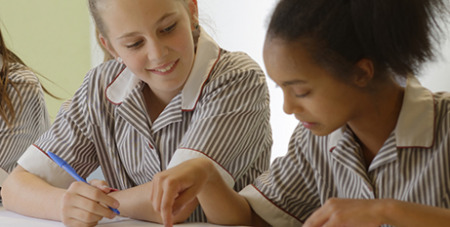 The neatly-groomed school, founded by the Dominican sisters in 1940, has consistently scored average VCE study scores of 34 out of 50 for the past seven years, contributing to its crowning as one of The Age’s Schools that Excel. The college is not selective, and annual fees reach around $15,550, placing it in the mid-tier price category for private schools in the area. The school is named after the 14th century mystic and theologian St Catherine of Siena, a figure Ms Robson-Garth describes as a “real woman of action”.